Dr. Glen Bills grew up in a family of dentists and, from an early age, knew that he wanted to pursue a career in this great field. Once he was exposed to orthodontics and the amazing, life-changing results of successful treatment, he realized his calling was to practice orthodontics. Dr. Bills enjoys the connections he has created with his patients, making his work not only gratifying, but fun as well. Dr. Glen Bills attended Brigham Young University for his undergraduate education and continued on the University of Florida in Gainesville for his dental education. He earned his Doctorate of Medical Dentistry, graduating first in his class and receiving the Alpha Omega Award for Excellence. Dr. Bills completed his orthodontic training at Baylor College of Dentistry, an institution recognized as one of the most prestigious orthodontic programs in the nation, where he earned his Masters of Oral Biology and Orthodontic Specialty Certificate. Dr. Bills believes in the importance of continuing education as an essential part to keeping up with new advances in orthodontics. He is continually seeking new information to provide better treatment options and enhance the experience his patients have during their treatment. He is constantly participating in continuing education events on both a local and national level that cover a wide spectrum of treatments and topics. In addition to continuing education, Dr. Bills is also an active member of multiple national study groups dedicated to innovating and sharing the most current procedures and techniques including laser and implant assisted orthodontics. 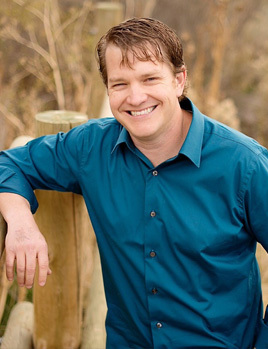 He is currently involved in the national leadership of the American Association of Orthodontists as a council member and is active in the American Dental Association, the Rocky Mountain Orthodontic Society, and the CEO Orthodontic Study Club. Dr. Bills enjoys teaching and has had the opportunity over the years to be involved in the formal education of hundreds of dental and orthodontic professionals. Dr. Bills is a Utah native and lives in the Salt Lake Valley with his wife, Elizabeth, sons Tyson, Davin, Jake, and Colby, and their yellow lab named Maddie. Dr. Bills is an avid fisherman, so when he is not raising his family with his awesome wife, he can be found enjoying the therapeutic time he spends in the mountains connecting with nature and unwinding from the stresses of everyday life. Dr. Bills is also passionate about diving and spearfishing, and well as snow skiing in the winter and various water sports in the summer. Dr. Bills is also actively involved in the community schools and has been recognized for his involvement in education. He also supports programs through his church, scouting, and youth sports for which he has coached soccer and basketball for many years.